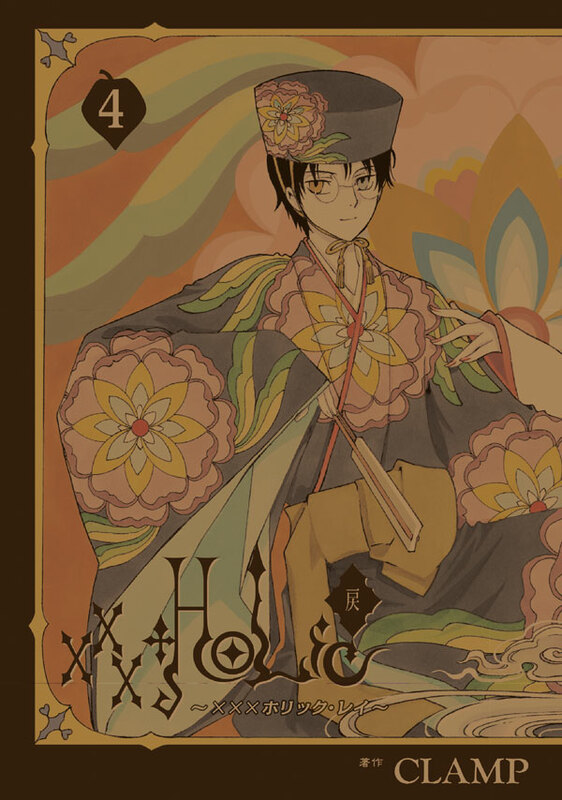 In a very early announcement, we have the cover of XXXHOLiC Rei #4 revealed! It will come out in a month from now, on October 6. This volume will have a limited edition with the Blu-ray of the 2005 XXXHOLiC movie ~Manatsu no Yoru no Yume~. oh wow! i thought rei volume 3 cover was my favourite but this one tops it! i love the colouring and the patterns. it just all flows so perfectly. clamp are using gorgeous colour pallets lately arent they? gate 7, and nirai kanai colour pages stand out for me. watanuki is lucky that he carries hats and large patterns off so well! he’s become super stylish since becoming the owner. i find myself liking all his kimonos and the Chinese outfits too. i think my favourite outfit of his was the one he wore in the animated ova episode where he looked into doumekis nightmares. i agree that its yuukos hand. she wears a white kimono permanently now right? or is it zashikis? wait, would zashiki wear red nail varnish…? ill stick with yuuko. nah, im leaning towards it being yuuko. i wondered zashiki cause she was mentioned a few times in vol 4. and she’s become the new plot devise. he wears women’s clothes very well. that huge bold floral print is certainly a statement. but the purple/grey base colour tones the print down and almost softens it.